Their lives are filled with adventure, DIY, crafts and building, but also saving the day. They rise to the challenge and are always totally committed. Aside from the inherent risks they face professionally, these everyday heroes open themselves up to other dangers away from their jobs, which should not be underestimated. That they remain relaxed and focused as they achieve excellent results is down to their exceptional equipment. They place their trust in uvex safety products. Our real life stories allow others to share personal experiences with their favourite uvex products. uvex: Could you please briefly describe the hobby in which you use uvex personal protective equipment? CG: I predominantly use uvex products for DIY tasks at home. Whenever I am drilling, turning, working with a chainsaw, milling or grinding, I wear uvex safety spectacles. CG: The main issue is chips and shavings that fly around following any such rotary activity, which can be dangerous if they go in my eyes. CG: My protection comprises suitable clothing, safety gloves, hearing protection, dust mask and safety spectacles. CG: I use uvex hearing protection as well as the safety eyewear. CG: By using these products, I feel safer when I carrying out such activities and am therefore able to better concentrate on the task in hand. Christian G. clearly explains that the right level of protection is not just important at work, but also for hobbies and DIY at home. As a rule, it is important to always be suitably protected when working with machines, even at home, and not to treat personal safety lightly. Thank you for talking to us, Christian G. We wish him all the best and continued pleasure as he safely continues as a hobby craftsman. In 2011, insurance companies recognised 6,304 cases of noise-induced hearing impairment as occupational illnesses, which puts it at the top of the list in this category. This impairment occurs when sound waves have damaged the hair cells lining the inner ear. Once these have died, they cannot be regenerated; so there is no cure if an individual has noise-induced hearing impairment. The severity of the damage very much depends on the noise intensity and length of exposure. Noise not only hinders concentration and potentially causes hearing loss, but can also be a stress factor for the entire body. It can result in changes to biological risk factors such as blood lipids, blood sugar and coagulation, for example. Cardiovascular conditions, including high blood pressure, certain types of heart disease as well as heart attacks, can be triggered through noise exposure. Those who are affected by hearing loss are initially unable to perceive the higher frequencies, with the perception of medium and lower frequency sounds being impacted later. In order to ensure good hearing in older age, it is important efforts are already made for its protection when young. Guidance on how this is to be implemented in the workplace is set out in the “Occupational safety directive on noise and vibration”. 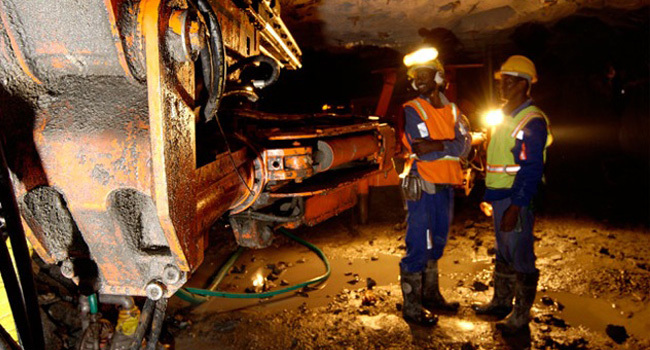 This states that employers must inform their staff about the dangers of noise exposure if the level exceeds 80 dB(A) and a maximum noise level of 135 dB(C). In these cases, employees must be offered suitable hearing protection. It is obligatory for staff to wear hearing protection if noise exceeds 85 dB(A), and 137 dB(C). Sources of noise are not only found in manufacturing and workshops with large machinery, but noise is also a common problem in unexpected areas, such as offices. While communication between staff is essential for some work processes, this can cause undue stress and reduce wellbeing. The greater the number of people in an office, the louder it will be, which is particularly true for large and open-plan offices. Common causes of noise include conversations between colleagues, office equipment such as printers and photocopiers, telephone conversations as well as street noise. Although office noise does not acutely damage hearing, it can be extremely tiring and stressful. As a result, concentration levels may fall, which can have a negative effect on performance as well as attention and responsiveness. The situation can be improved through technical and organisational measures, for example by ensuring adequate space between work stations to reduce the overall noise in the office. For areas with noise in excess of 85 dB(A), organisational measures alone will not suffice. This is where the “Occupational safety directive on noise and vibration” comes into play and hearing protection must be worn. uvex provides personal protective equipment (PPE) from head to toe. Hearing protection is an essential part of this and it is important that the right option is chosen to meet requirements. A noise analysis must be carried out to identify sources of noise. However, other criteria such as noise duration, compatibility with other PPE products and wearer properties should also be taken in to account. uvex has a choice of different hearing protection in its range, so it can offer each individual wearer the appropriate hearing protection. A distinction is made between earplugs, earmuffs and otoplastics. Earplugs (disposable or reusable) are particularly suited to being worn for extended periods and in combination with other PPE. They are also suitable for use in working environments with high temperatures. Earmuffs are generally worn with a headband, but other models are available that can be attached directly to an industrial safety helmet, should one be needed. Earmuffs are the right option for individuals who have sensitive ear canals, as an alternative to ear plugs. 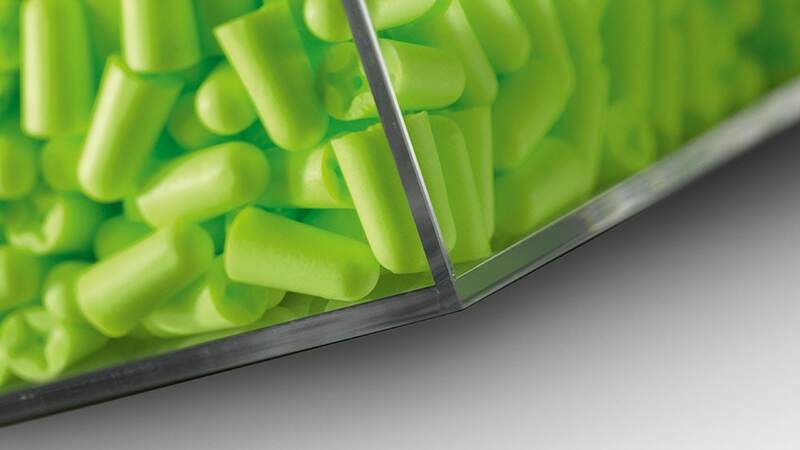 Otoplastics are tailor-made earplugs which are individually moulded to the shape of the ear canal. Depending on the model, a universal or customised filter can be chosen to provide the optimum level of protection. Perception of noise differs from person to person. Whether a noise is “only” a little uncomfortable or causes lasting damage to hearing is very difficult to assess personally. While the pain threshold is at around 120 dB(A), hearing can already be damaged at much lower levels of noise exposure. How loud are your surroundings? Use the uvex Decibel app (only for iOS) to test your workplace. Please do not hesitate to contact us with any questions on the importance of hearing protection and how to prevent damage.